The story of the man who developed the technologies used in modern electronic warfare. 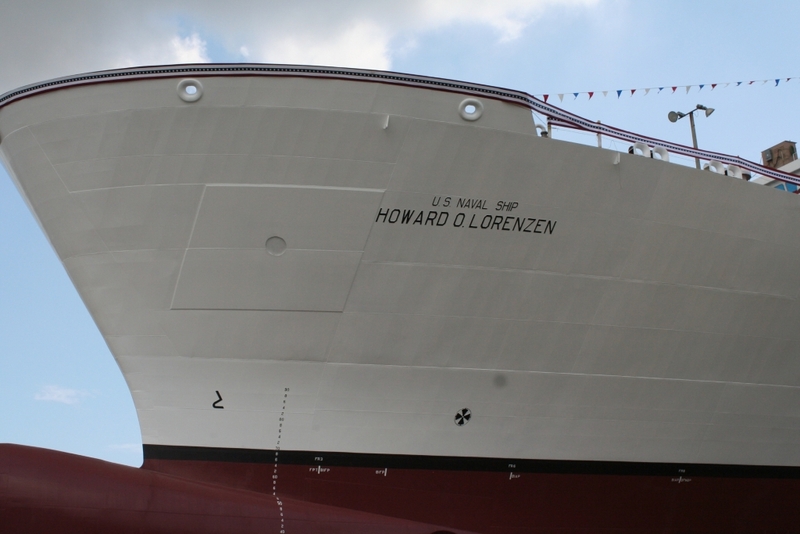 The 12,575 ton, 534 foot USNS Howard O. Lorenzen employs a crew of 88 and will host embarked military and civilian technicians and mariners from other US government agencies. Howard’s father was chief telegraph operator in Atlantic, Iowa for the Rock Island Railroad. The railroad telegraph system could eavesdrop on lines that carried news and other information. During the baseball World Series, Lorenzen plugged into the lines that carried the telegraphed games to station WOAW in Omaha. Fans gathered in the train station to hear Lorenzen announce the plays and scores of the games. In 1928, at the age of 16, Howard obtained his first Amateur Radio license, receiving the call sign 9BLC. His first long-distance contact was with 2GL in Valley Stream, Long Island, New York, about 950 miles away. Most of Howard’s ham radio activity was on the 75 and 160 meter bands; shorter wavelengths were not used much then. Almost all of his early contacts were by AM phone but as his code speed increased he used CW more frequently. In 1928, Howard attended the ARRL convention at Iowa State University in Ames, Iowa. There he met Arthur Collins, founder of Collins Radio Co, who had an exhibit and was offering his first transmitter for sale. This was the start of a lifelong friendship. After high school graduation, Howard attended Iowa State. During his sophomore year he set up a ham station in his room with an antenna running out the window. He was busy studying and others complained that noise from the motor and generator interfered with their studies, so he wasn’t on the air very much. Howard graduated with a degree in electrical engineering in 1935 and went to work in Buffalo, New York for Colonial Radio Corporation as a production engineer in their laboratory. Colonial was headed by Dr Fulton Cutting whose prominent family included the inventor of the steamboat. He was a highly regarded scientist and former president of the Institute of Radio Engineers. Colonial made radios under their name and for the Sears, Roebuck Co. They also made automobile radios for Chevrolet and Oldsmobile. The years 1935 to 1939 at Colonial provided a sound beginning for a successful career and a rewarding family life. In 1936 Howard married Etta Mae Owen, the sister of a fraternity brother. In 1940 Howard was hired by Zenith Radio Corporation at their new plant in Chicago. The Zenith lab functioned as a combination experimental and production lab. One of Howard’s ongoing tasks was to analyze radio receivers made by other manufacturers. His findings were reported to Zenith’s President, Commander Eugene F. McDonald, who judged the competitor’s products and features and decided what could be incorporated into Zenith products. Howard explained that a shortwave portable would receive high frequency stations such as BBC in London when standard broadcast stations were out of range. The Commander knew shortwave capabilities from having used it on an Arctic expedition so he told Howard to develop a shortwave receiver. Howard altered a portable radio to receive shortwave frequencies. 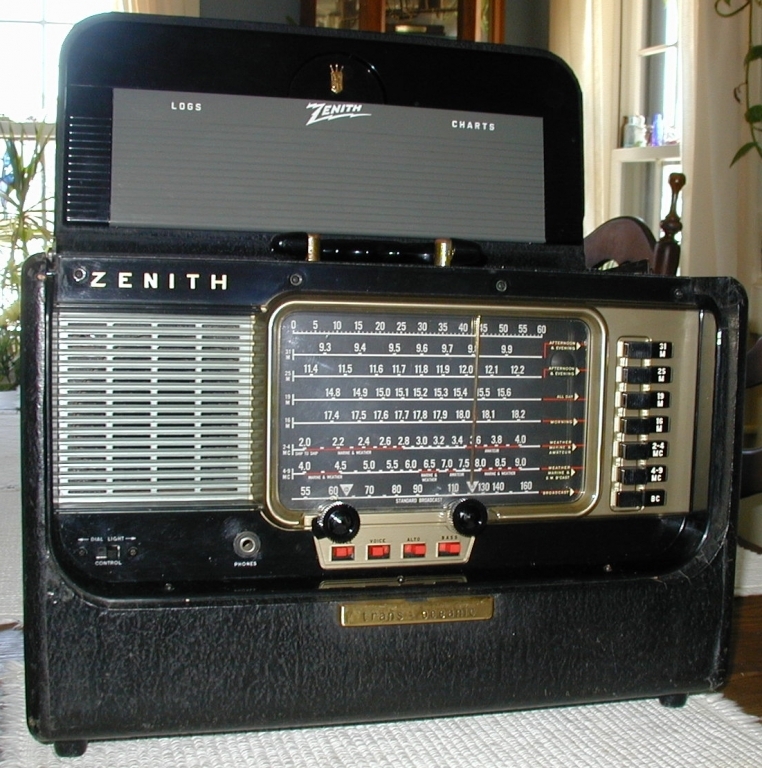 The radio was placed aboard the Mizpah and after returning from a cruise the Commander directed that Zenith put it into production. Howard developed a two band radio and after several weeks of construction and design, he gave the Commander a prototype for testing. The Commander was pleased with the result and suggested that the radio be made with a removable loop antenna so it could be positioned for the best reception. Thus was born the Zenith Trans-ocean (later models were renamed the Trans-oceanic). Howard left the company in July 1940, so other engineers further developed the two band prototype and changed it to six bands for easier tuning. Soon the Trans-ocean Shortwave Portable was in production. It became the most popular radio of its type in the world. NRL’s experience during the war made evident the importance of electronic countermeasures in naval operations. After the war, Howard was relicensed as W3BLC. He continued to develop new ECM technologies, organizing NRL’s Countermeasures Branch and toiling with recovered German and Japanese wartime electronic devices. Lorenzen developed the first US magnetic tape recorder for intercept work and tunable microwave intercept receivers used in Navy ships, shore stations and aircraft. 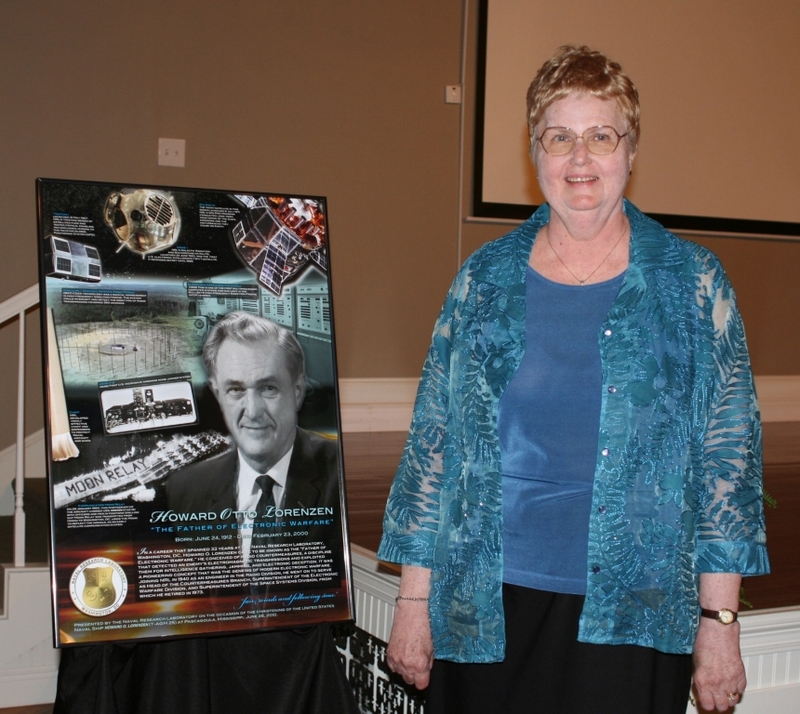 In June 1960, after a US U-2 spy aircraft was shot down over the Soviet Union, Lorenzen’s most notable achievement became the Galactic Radiation and Background payload (GRAB). GRAB was the earliest space-based reconnaissance satellite and the first US Navy electronic intelligence (ELINT) satellite. It obtained information on Soviet air defense radars that otherwise could not be observed from US military aircraft. Situated 500 miles above the Earth, safe from surface-to-air missiles, the GRAB satellite’s circular orbit passed it through energy beams from Soviet radar whose pulses traveled far beyond the horizon into space. GRAB received each pulse of a radar signal in a certain bandwidth, as sensed by its tiny antennas, and transponded a corresponding signal to collection huts at ground sites. Operators recorded transponded information on magnetic tape and couriered it to NRL for evaluation. NRL evaluated, duplicated and forwarded the tapes to the National Security Agency at Fort Meade, Maryland and the Strategic Air Command at Offut Air Force Base, Omaha, Nebraska, for analysis and processing. 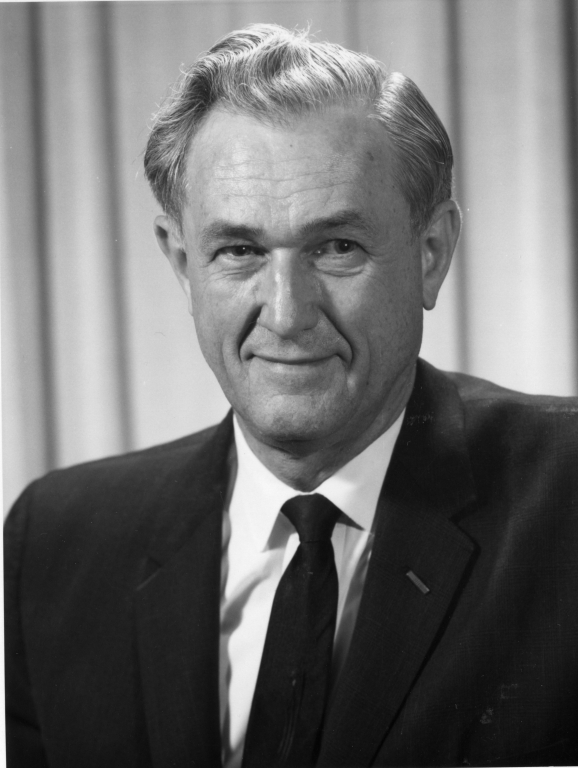 In 1970, Deputy of Defense Secretary David Packard aligned space system acquisition responsibilities with those for weapon systems acquisitions and authorized the military departments to pursue departmental need for space systems. NRL turned to Lorenzen to repeat in space what he had accomplished in EW — design total systems for military operational support — and in 1971 Lorenzen was named superintendent of NRL Space Systems. Lorenzen served as superintendent until his retirement from NRL in June 1973. Howard became a Silent Key on February 23, 2000 at the age of 87. The Issaquah, Washington ARC obtained permission from his family to acquire his call sign, W7BI, for club use, so his legacy lives on. Lynn Burlingame, N7CFO, an ARRL Life Member, is an Extra class amateur and has been licensed for nearly 30 years. His main amateur interests are VHF and UHF operating and contest roving. 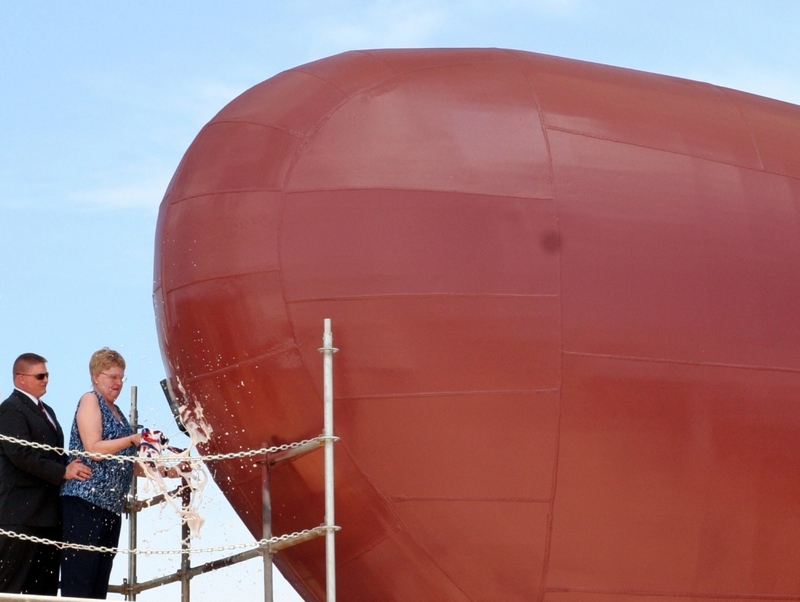 He is the co-founder and former president of the Pacific Northwest VHF Society. Lynn retired in 2003 to pursue his other interests including collecting antique telegraph equipment. He can be reached at 15621 SE 26th St, Bellevue, WA 98008-5443.